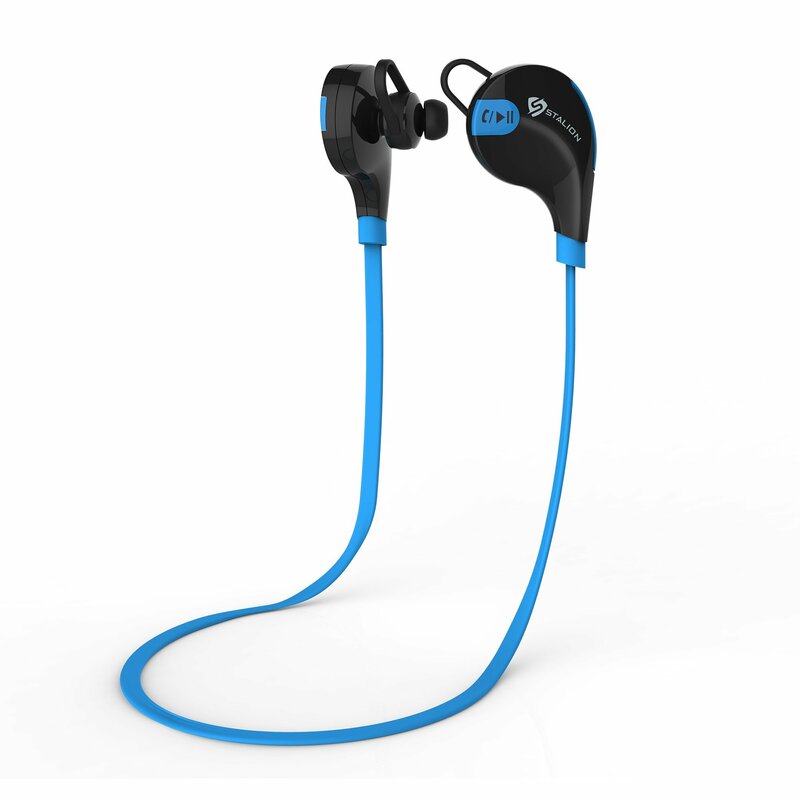 Home › Electronics › Bluetooth Headphones: Stalion Sound Wireless Stereo Sports Headset Universal ..
Bluetooth Headphones: Stalion Sound Wireless Stereo Sports Headset Universal .. Enjoy your music experience without tangled cords and interference. Conveniently rest your Wireless Bluetooth Headset on your neck with connected neck strap. Easy access control volume and skip with the fully functionally button on the side of the headset. Stalion Sound Bluetooth 4.1 Headphones: Stalion Sound releases its newest cell phone smartphone tablet phabletelectronics accessory. Universal Bluetooth Headset pair-able with all enableddevices. Enjoy an untangled music experience. No more cord management anddisrupted engagement because of accidental cord pulling and yanking. PRODUCT FEATURES Wireless Bluetooth 4.1 connectivity. Rechargeable Headset with LED Light Power On/Off button. Simply hold the LED for 3 secs to power on/off.Volume +/- buttons for volume and previous/next control. AptX for HD sound clarity, noise reduction, microphone, and sweat-proof earbud protection. Perfect fit for your ear with earbuds of your choice. Neck strap allows for rest and safety positioning. COMPATIBILITY Works with all Bluetooth enabled Android, iOS, Windows, and all other mobileplatforms. Universal for iPhone 6s, 6s Plus, 5S 5c, 4S, iPad Air 2, iPad Mini 4, iPadPro, Galaxy S6, S6 Edge+ Plus, Galaxy Note 5, Galaxy Tablet, Google Nexus, HTCOne, Motorola Droid Turbo, LG G4 Flex 2, and other smartphones. INSTALLATION Simply charge your headphones with the provided micro USB Cable, thenbeginning pairing sequence as instructed with the provided manual. PACKAGE CONTENTS Bluetooth Headphones, 3 pairs of (L, M, S) Earbuds.Gels & Ear Hooks, Micro USBCable, & Manual. WARRANTY Stalion Products offers a 24-Month Warranty with this item. SUPPORT Call or Email Stalion Support Mon-Fri 10AM-6PM EST.